I know that this mod has support for Quark’s speleothems, but maybe support for its new stone blocks and decorations? You can find them all on the website. Post an issue on Github, and that will get implemented. As I am the current dev, I think you can be sure ! Is there any specific reason that the gravel and sand in this mod use the sounds for stone blocks? I thought so, I just didn't wanna clog anything up had it been intentional. No, please clog it up, the issue tracker is for issues. If your report is a duplicate the team will note it as such and link your report to the duplicate. I did, when I saw your comment here. Does this mod add small outcroppings of cobblestone and other rocks above ground? Edit: May you please add an option to disable them? This mod changes the underground distribution of the stone with new stone variants and therefore new material crafting recipes. Double check your pack, something else probably causing those outcroppings. Can you provide a screenshot just in case? 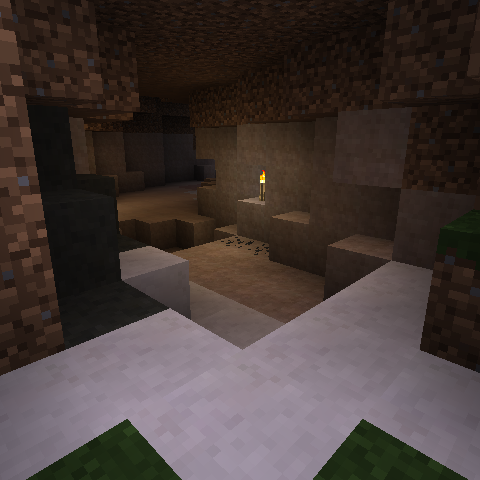 Also, what is the difference between this mod and https://www.curseforge.com/minecraft/mc-mods/underground-biomes? don't be silly this is that mod. Sorry, I'm unfamiliar in general with the twitch mod page website format. Could you respond as well to my other comment? I already have look near the top of the comment stream. Could you explain what you are talking about ? Cavern 2 support? I mean stones in dimensions. Get those dimensions' IDs and add them to the config, it should work. I'd love to see support for Fossils & Archeology Revival. I'm really impressed by the amount of mod compatibility this mod has!